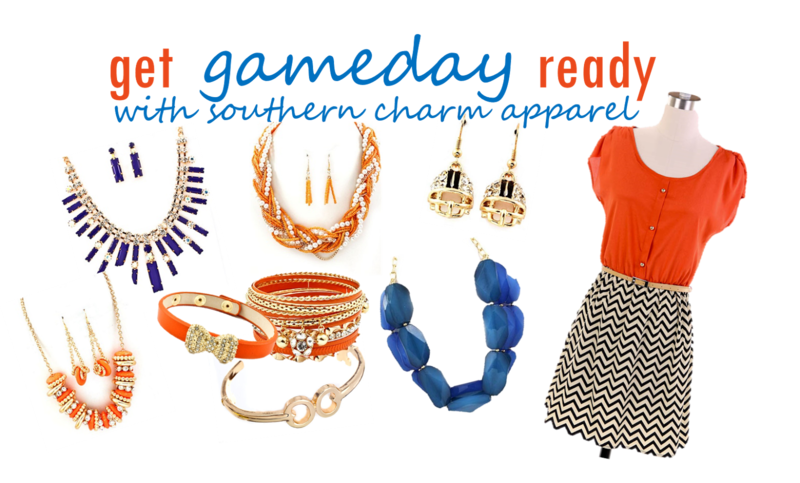 I collaborated with the awesome girls over at Southern Charm Apparel to bring my Gator fans a few choice chic orange and blue accessories just for Stylish Gameday readers. I am all over those football helmet earrings. They are $8 and so darn dope! The sale is only for a week and the items are deeply discounted just for you guys, so check it out. Also pop over to the Southern Charm Apparel Facebook too, to stay updated on new gameday goodies. Hi! I just found your blog, and I love it! I graduated from LSU so I definitely can relate to the tailgating! Thanks for the kind words. Tailgating is definitely my passion and I love to share it with others.